Samantha Reeves is a real estate agent and the Agent Education Manager at Veterans United Home Loans, one of the nation’s leading VA lenders. 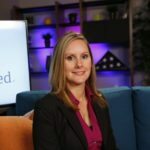 As a former loan officer, Samantha has insider experience dealing with the VA mortgage, from initial application and contracts to loan funding. Nearly 300,000 people follow her Veterans United Agent Edge community on Facebook. Samantha lives and works in Columbia, Missouri. April is the month designated each year as the Month of the Military Child. Started in 1986 by former Defense Secretary Caspar Weinberger, the commemoration celebrates the important role military kids play within their community. It’s a time to recognize the unique sacrifices and challenges they face on a daily basis. There is always potential for real estate agents to shake up the status quo and expand their reach in a niche market. One essential tool to consider is LinkedIn. Do you know who qualifies for VA loans in your area? Veterans Affairs (VA) loans offer hard-earned benefits to the buyer and, with flexible credit and underwriting standards, make the dream of homeownership a reality for many who couldn’t otherwise qualify. So why are some agents still hesitant to talk with their buyers about this loan option? It might boil down to a lack of information. Every year thousands of U.S. military join the ranks of retired veterans and are often faced with an overwhelming amount of challenges as they transition back into civilian life. Perhaps the two greatest of those challenges are finding employment and a place to call home. They’ve fought to preserve the American dream for all of us, but now they must fight among us to pursue that dream for themselves. More veterans are taking advantage of their Department of Veterans Affairs (VA) loan benefit than ever before. If you’re looking to expand your business into this niche market, here are three things VA homebuyers need from you.